With the holiday shopping season about to begin in earnest, and all of the over-consumerism it represents, we are once again cautioned by the US Public Interest Research Group (PIRG) that many toys are not safe. 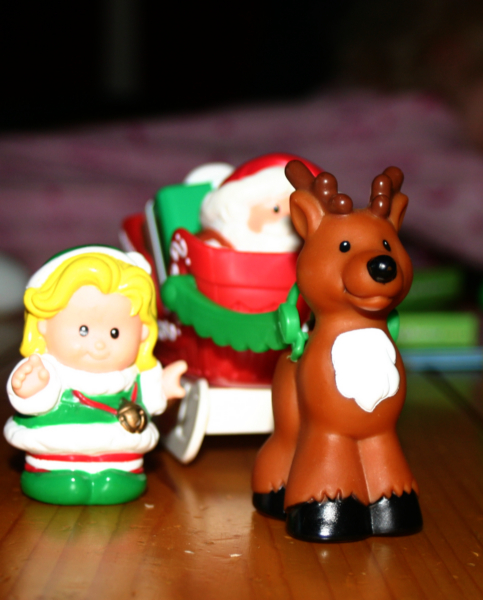 Trouble in Toyland: The 25th Annual Survey of Toy Safety has just been released. Obviously missing from the key findings are BPA and cadmium in children’s products. I don’t believe their omission is part of some American Chemical Industry lobby conspiracy. Cadmium is mentioned under “Other Toxic Hazards” in the full report. Cadmium seems to be the chemical du jour in replacing lead in cheap, children’s jewelry. I did not find any mention of bisphenol-A in my skimming of the report.. BPA’s absence is concerning. « 10 Green Book Recommendations: Are Your Kids’ Books Destroying the Rainforest? Please tell me that the Santa sleigh toys in the photo aren’t on a bad list! My 3 year old loves Christmas and he has mostly wooden toys, but I got this for him and he loves it! Agh!! I don’t know. There is not an official list, other than what has been recalled by CPSC, but the PIRG report offers a shopping guide for things to look out for when purchasing toys.